BoardSource has meaningful relationships with a select group of governance consultants and trainers located throughout the country. 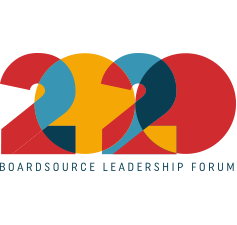 Our trainers — BoardSource Certified Governance Trainers or CGTs — complete a rigorous application and evaluation process before being educated in BoardSource’s training methodology and governance curriculum. While our CGTs do not work for BoardSource directly, they, along with our consultants, are the only professionals in the US who are authorized to deliver BoardSource content and curriculum. BoardSource offers five educational seminars, taught by our select group of CGTs, that can be brought into your boardroom as full- or partial-day sessions. If you would like to secure the services of a BoardSource CGT, please scroll through the list of states and regions below to identify a governance trainer near you. BoardSource CGTs are also the only trainers permitted to utilize the BoardSource CGT seal. Las Vegas — Gian F. Brosco, Esq.